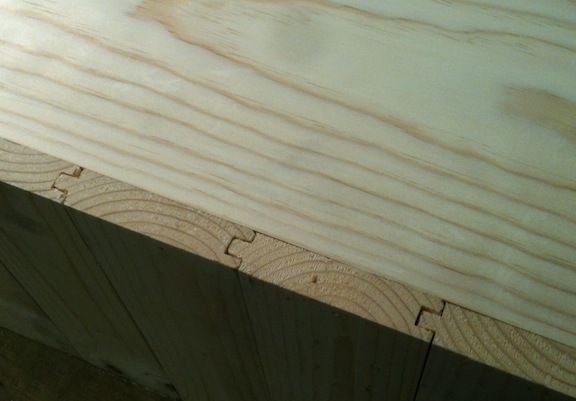 I just installed the bottom on my saw chest. 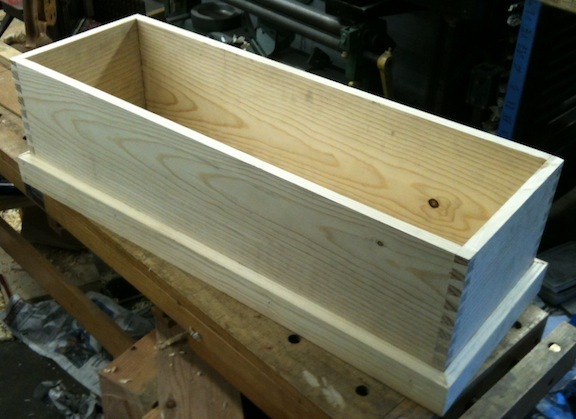 I skipped the bead and just fit the boards together with tongue and groove joints. I wasn’t happy with the tiny bead, and the larger one wasn’t cutting well. 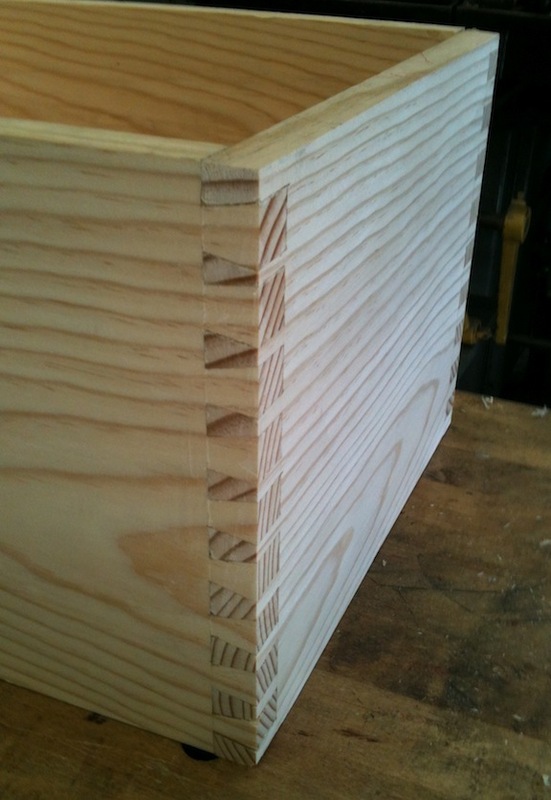 I nailed the bottom on with some 3D headless brads – cut nails – from Tools for Working Wood. 4D might have been better, but I didn’t order any in that size. Honestly, I thought I showed considerable restraint in only ordering the 4 sizes of nails I got. Their Cabinet Maker’s Hammers were calling my name. Loudly. When I was a kid I was forever getting into my Dad’s tools. As it turn out I don’t seem to have a nail hammer, so I borrowed my son’s. I knew I should have ordered those hammers from TFWW. I left the bottom boards long the way Chris Schwarz shows on his toolbox. 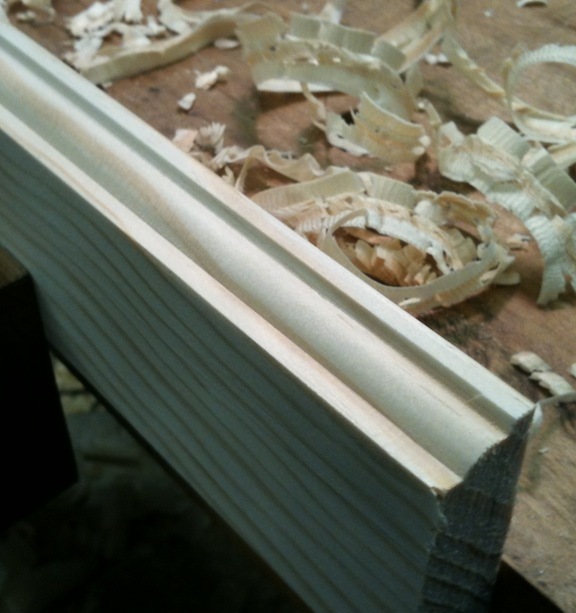 I started using a crosscut saw to cut off the excess, but it was unwieldily and I bailed. It would either break off the excess while I was sawing, gouge the side of the case, or undercut the bottom. 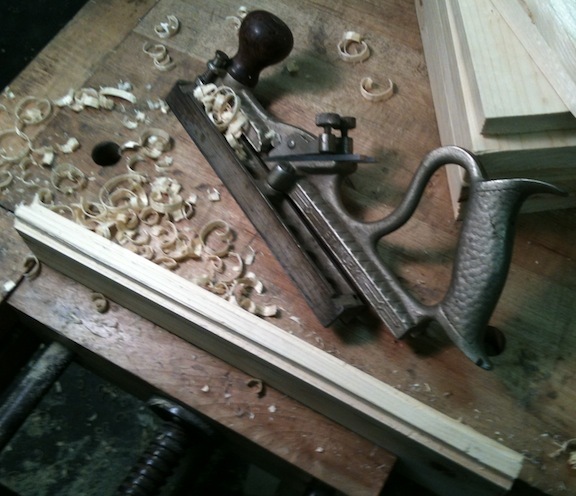 I used a scrub plane to take off the excess, which was more work than sawing, but I was more comfortable with it. 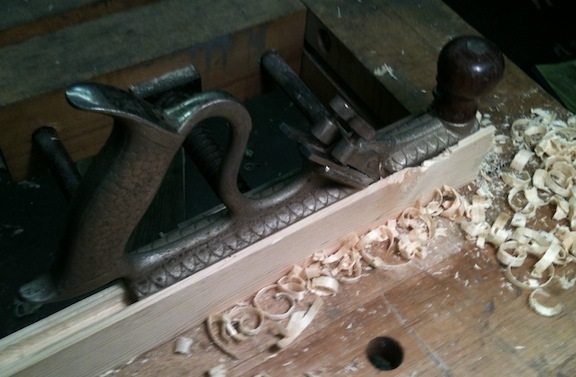 I bit of work with my block plane to even things out and that was that. 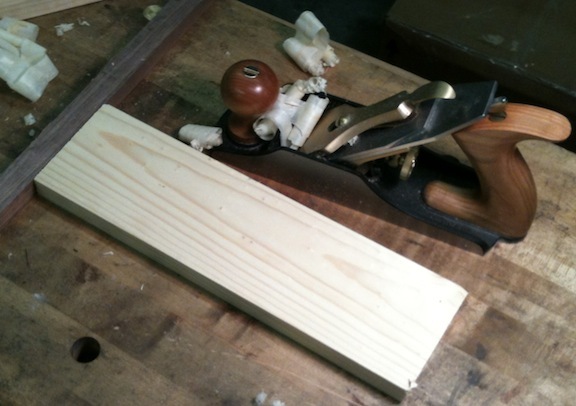 But I took some time to tune up a molding plane I picked up from Josh at Hyperkitten. 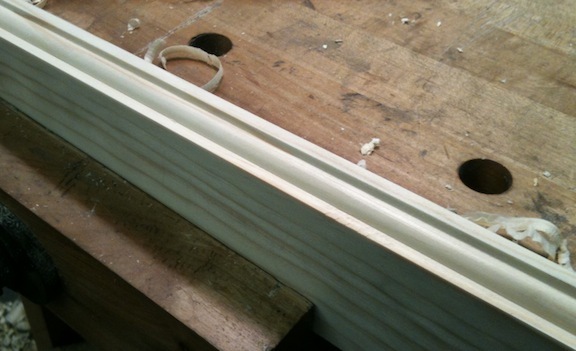 It does a nice job, and will dress up the skirting nicely. So what’s left? 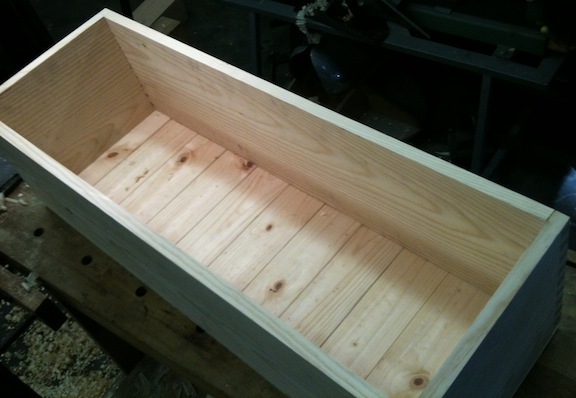 Buy more wood, finish the skirting and make a lid. I have no idea what I’m going to do for the lid. The easy way out would be to just have a single board, but I may try to do something a little nicer. 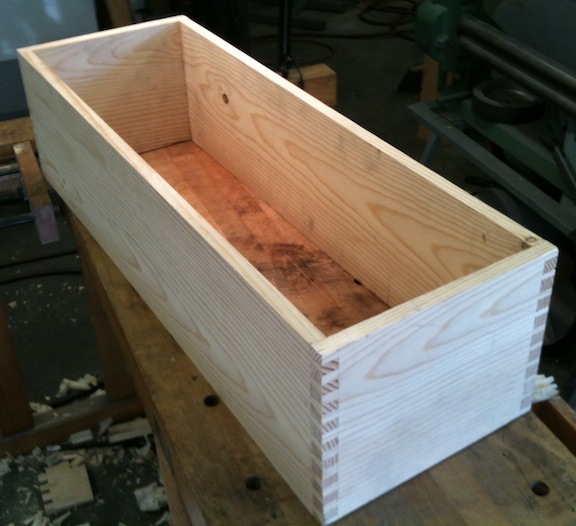 I snuck a few minutes in the shop to experiment with what I want to do for the bottom of my saw chest. 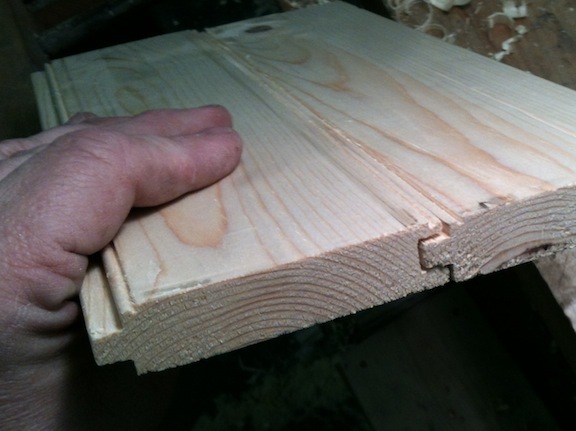 I cut a bunch of 12″ long 1″ x 4″ white pine boards, and shot one end square. I’m not going to bother squaring up all 6 faces as I don’t think it’s necessary, but I wanted to make sure one end of each piece was square so I could line them up. 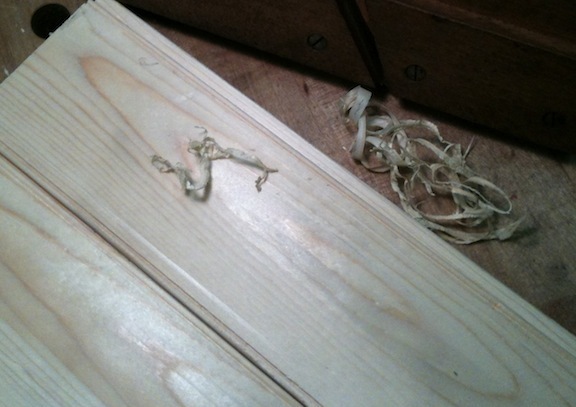 Then I planed one face – just to remove the dirt, and assorted dings and dents from the big box store. 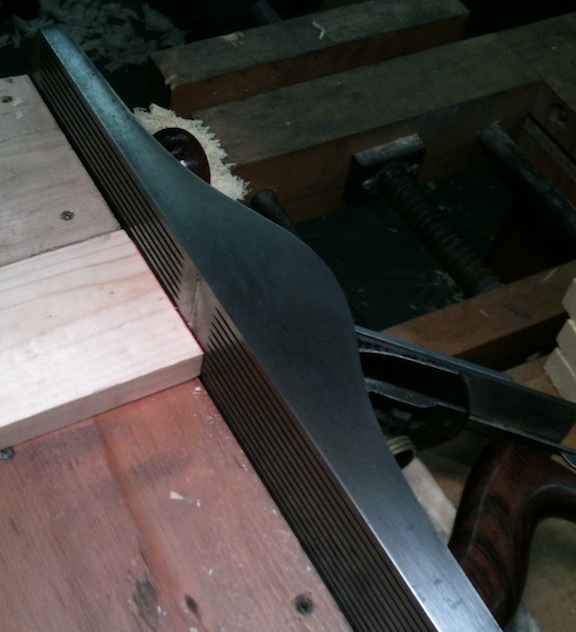 Then I did a quick sharpen job on the blades for my Stanley 48 T&G plane, and made some test cuts. it seemed to work OK, but the result is a little rougher than I’d like. I’ve read that this is typical, but I’m going to spend a little more time honing the blades to see if I can get better results. Also, the tongue doesn’t fit into the groove without persuasion – but it’s easily corrected with a few swipes of the shoulder plane. I suspect that I can tweak things slightly to get the fit correct right off the plane. Used hand tools always always seem take a bit of fiddling to get the working properly. Not surprising if you figure that these have been in a box or sitting on a shelf somewhere for 50 years. The tongue cut seems to do a better job than the groove. There is some tearout in the groove. Sharper blades, more care to keep the plane vertical, and perhaps a slightly lighter cut will probably help a lot. The last step is to cut a small 1/16″ bead. 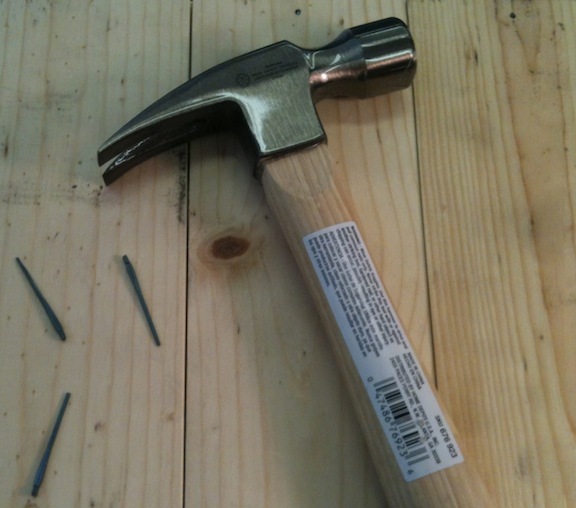 Again, this tool probably needs to be a bit sharper. I can only use it in one direction, so the odds are I’m going against the grain sometimes – which leaves a fuzzy surface in places. Aesthetically I’m trying to decide between one bead or two. One seems too small and dainty. The only other beading plane I have is a 1/4″, but it’s too big to use next to the T&G joint (no clearance). Maybe I’ll try a ship lap with a larger bead?